I am becoming more sensitive as I age. For the most part I can let things go and other people's actions or words don't bother me. However, when they do bother me they tend to bother me more than they did in my 20's. I think part of it has to do with the fact that as I've gotten older there are more things to worry about, my kids, my husband, my father. When someone then does something that is mean or hurtful I have no more room to want to deal with the aftermath. So I tend to cut ties. I let friendships last through bad patches a lot more 15 years ago. Now honestly if someone is hurtful more than a few times, I let the friendship naturally end. I allow myself to be the number one priority in the relationship. My sense of worth is high enough in my middle 30's to know that the people that care the most are not the ones that are hurtful. I also understand that as a society the birth of the internet and a connected world has made us all more jaded and oblivious to some of the behaviors that we all exhibit. I have to watch myself from saying things that I would have thought hurtful before we started sitting behind computers instead of face to face. At the end of the day I try to surround myself with people that make me feel better just by being in their presence. In my 30's that circle has gotten smaller than it was in my 20's, but the bonds are much stronger and I cherish the relationships I have forged. I have been offline for a while. My youngest started kindergarten this year and has managed to bring home every sickness known to man, including a nasty case of hand, foot, and mouth (yuck). So I have been cooking and baking, but not taking many pictures due to time. No pictures means a lack of blog posts, but I will eventually get back into the grove (hopefully before my kids leave for college). There is one recipe in my house that came from my mother-in-law that makes the rotation in my kitchen at least once a month and at every holiday gathering. It's delicious and works perfectly every time. So without further babbling here is my mother-in-law's recipe for Fluffy Homemade Rolls. Measure sugar, salt, oil, and water in a bowl. Add yeast and 2 cups flour and beat. Knead in additional flour to make a soft elastic dough and continue kneading for 5-8 minutes. Place dough in an oiled bowl and let rise until double in size (about 1 hour). Divide dough into 20 rolls. Make rolls by rolling each piece into a round ball and tucking the ends under the bottom. Place rolls into one greased 13x9 inch pan and one 8x8 (the 8x8 is normally only half full of rolls). Instead of rolling the second pan into rolls the dough also works well for cinnamon rolls or sweet buns. Let rolls rise until doubled (about 1 hour). Bake in a preheated 350 degree oven for 35-40 minutes. This recipe also work wells when done on the dough cycle in the bread machine. Then you just have to shape the rolls and do the second rise. 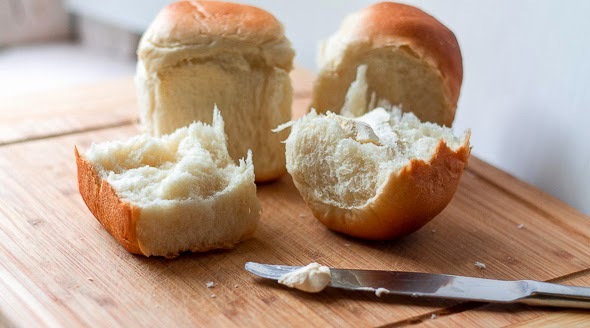 I have tried these rolls with half white whole wheat and half bread flour and they worked well. You could try increasing the amount of white whole wheat even more, but you would also need to increase the amount of yeast. I am determined sometime in the next year to make pepperoni rolls with this recipe. I think they would be delicious, so stay tuned eventually I will get around to it! See, for me, one fight usually ends a friendship for me. I am so stubborn and hate to give in. 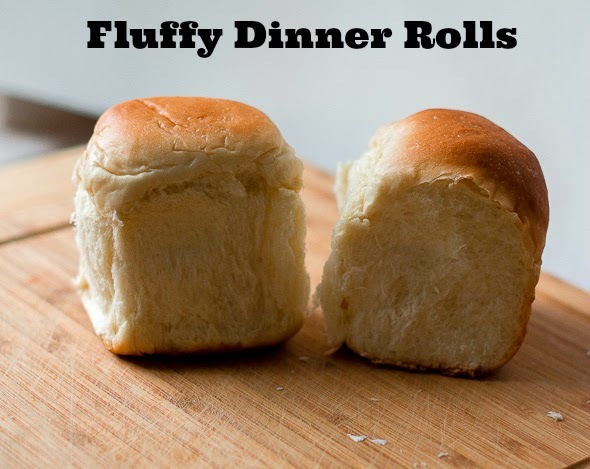 I love diner rolls and these look awesome Ann! It does seem that the older I get the more things I have to worry about :) Thanks for the sweet comments! I have learned in life, to get step away from the negative nellies, and the folks who have a way of taking up a lot of emotional space/time without giving back. Your dinner rolls look amazing. Delicious. I have learned that too, it just took me until my 30's to fully understand it! Hi Ann, I understand and agree. I think there are a lot of people in the world who just don't realize the repercussions of their choices or behavior. It's a shame. I do think it's getting worse because of the internet. I worry about the future. I'm sorry to hear about all of the illness you've been dealing with. I hope everyone is healthy soon. The dinner rolls look wonderful. Thank you for sharing the recipe. Take care. I don't think they understand either, which is a little scary. My kids are feeling much better now, my youngest still has a little bit of a cough, but he's on the mend :) Thanks for the sweet thoughts! These dinner rolls look very soft and beautiful. Thanks :) The recipe is great, they turn out perfectly every time! Life is too short, I agree! My kids love rolls or bread with every meal as well. They are big bread fans! You're very sweet, thanks :) Going over to check out your blog now! Those rolls do look yummy delicious. And I'm sorry all the yuk bugs are coming home w/your little one. We had that the first two years of school. This year seems better so far, knock on wood!! Correction W.VA (just confirmed on your sidebar info that I has your state wrong).